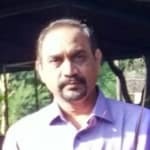 Dr. Suresh Kumar G is an experienced Psychiatrist in Maharanipeta, Visakhapatnam. He has over 10 years of experience as a Psychiatrist. He is a qualified DNB (PSYCHIATRY), MD - Psychiatry. You can meet Dr. Suresh Kumar G personally at Somnath Medicals in Maharanipeta, Visakhapatnam. Book an appointment online with Dr. Suresh Kumar G on Lybrate.com. Lybrate.com has a number of highly qualified Psychiatrists in India. You will find Psychiatrists with more than 28 years of experience on Lybrate.com. You can find Psychiatrists online in Visakhapatnam and from across India. View the profile of medical specialists and their reviews from other patients to make an informed decision. My wife is 31. She is going to gym for last 4 months and doing proper exercise under her trainer guidance. But her weight is not reducing at all .Even she is eating as per her trainer guidance. She is 69 kg. Can there be any issue in her hormones. please let us know the reasons for the same. Should we undergo any test to check the possible causes. Obesity is multifactorial genetic ,constitutional, dietary,environmental ,harmonal if you are so keen be evaluated ,if she is healthy better to keep fit gym can continue.